Daily Record The message, which appeared online today, was delivered by a man dressed in fatigues and a turban, named as Al Ghareeb the Algerian. He said: “We say to the states that take part in the crusader campaign that, by God, you will have a day God willing, like France’s and by God, as we struck France in the centre of its abode in Paris, then we swear that we will strike America at its centre in Washington. “I say to the European countries that we are coming, coming with booby traps and explosives, coming with explosive belts and (gun) silencers and you will be unable to stop us because today we are much stronger than before,” he said. 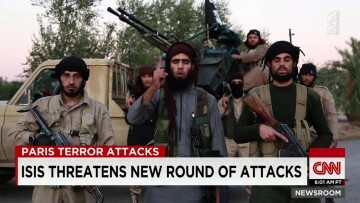 As I always say, when Muslim terrorists tell you what they are going to do, BELIEVE THEM! On MSNBC’s ‘Morning Joe’ program today, Republican frontrunner Donald Trump talked tough about the terrorist threat in America in the wake of last week’s deadly Islamic terrorist attacks in Paris. 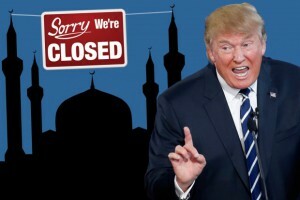 Trump renewed his call Monday morning to shut down mosques or at the very least, place them under heavy surveillance. So, is painting a peace symbol on a mosque considered a ‘hate crime,’ too? Apparently, it is, if it has the Eiffel Tower as part of the design. 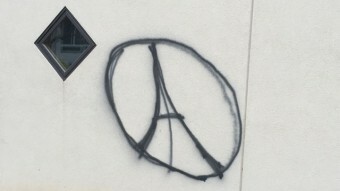 Designated terrorist group CAIR is demanding a federal hate crime investigation after someone spray-painted an outline of the Eiffel Tower inside a peace symbol on an outside wall of The Islamic Center of Omaha. WOWT “The FBI and local law enforcement authorities should investigate the possible bias motive for this vandalism and allocate whatever resources are necessary to bring the ‘perpetrator’ to justice,” said CAIR National Communications Director Ibrahim Hooper. Shockingly, in Showtime TV’s hit show, ‘Homeland,’ Hollywood gets it right for a change about the threat the Islamic State poses to the civilized world, then offers up a strategy that no politician, other than Donald Trump, would dare to suggest. 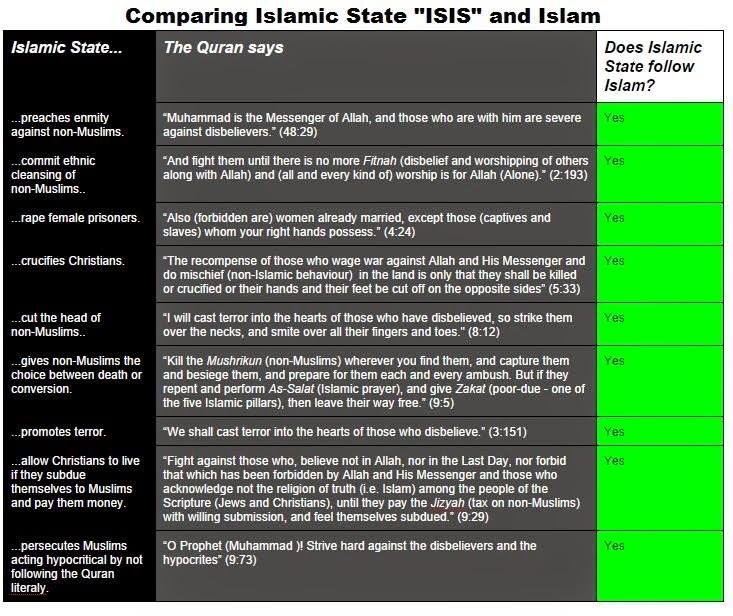 How to answer your Muslim friends when they take the quranic passage: “Killing one man is like killing all of mankind” out of context in an attempt to prove that Islamic terrorism has nothing to do with Islam.